You know that one person in your life…the one who knows just what buttons to push to get a rise out of you? Usually, this person is someone we love. Someone we trust. We give this person all this power over us, our moods, our days. It’s a choice based on the stories we tell ourselves. We keep tripping over the same issues, and after we fall, we find it hard to get back up again. Here’s how you can change your story. Do you treat “help” like a 4-letter word? What if you had more freedom to ask for what you wanted and for specific support from other people? What if you could ask for help in a confident, humble and empowering way? What if you remembered that you are worthy of other people’s help and that they want to help? While it sounds simple enough, accepting help is challenging for all of us. It’s especially hard for those of us that believe that seeking help undermines our independence and our ability to cope. Wanting something to be, or something not to be based on unrealistic standards is only wishful thinking. Do you define success by “you having to do it all yourself”? Imagine feeling peaceful, experiencing a deep feeling of well-being – my definition of success. How I get there is merely a strategy. If you’re never feeling successful in your days, it’s time to start doing something different. There is no such thing as an unselfish gift. Have you noticed that “feel good jolt” you get when someone accepts a gift from you with excitement and energy? Unless you’re giving someone chicken pox, it’s hard to think of giving as a bad thing. And we can’t help it if it makes us feel good. So what happens when someone gives us something and we don’t receive it with the same energy and excitement? We take that “feel good jolt” away from them. Numerous trips to the ER were a consequence. Sophie was always impulsive. As a child, she loved risky activities like swinging in the trees and waiting until the last minute to cross the street in front of an oncoming car. She was a daredevil with her bike, including dirt bikes and ATV’s as she got older. She went as fast as possible. She loved the adrenaline rush. She had a hard time keeping friends because she would react in the heat of the moment, hurting their feelings or would blurt inappropriate things. As a teen, bingeing on alcohol, drugs and food became habitual. Now, as a young adult, impulsive decision-making – quitting school, quitting jobs impulsively and spending money without considering a budget – was common. 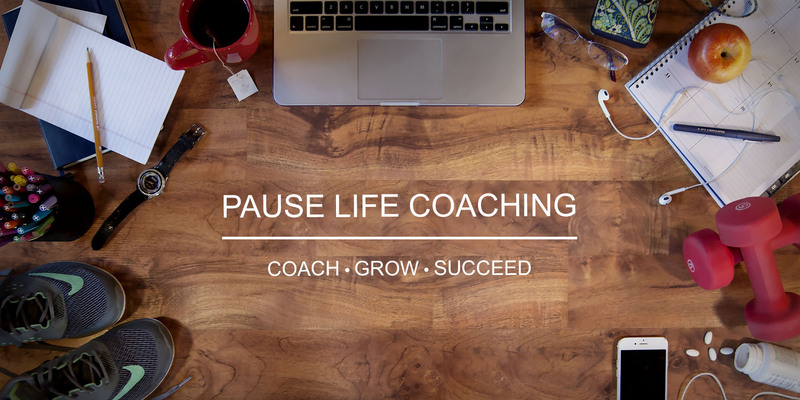 The pause button is the idea that the small space between a stimulus and our reaction, that tiny little moment, is a moment of pure freedom. That little dash is our choice, to use however we want. We can choose to react in a way that makes a situation worse, or better. It’s our choice, our freedom to do with what we want. For some living with ADHD, their little dash, their space between a stimulus and their reaction, is SUPER small. They barely give themselves time to take in a situation before reacting to it. Decision-making is part of the prefrontal cortex, which is the thinking part of the brain behind your forehead. It is the last part of the brain to mature and this doesn’t occur until our 20s. This explains impulsive decision-making in teens. People with ADHD have an even greater delay in the maturity of this part of the brain, which may explain some of their impulsive traits. There are certainly consequences to a child being impulsive. Why did you throw the snowball? Don’t you know that’s wrong? But as we age, impulsivity can have greater consequences across our lifespan. One of the three most frequently seen types of impulsivity, include impulsive experimentation with drugs or alcohol. Impulsive driving can lead to higher incidence of accidents and sexual impulsivity can lead to increased incidence of sexually transmitted diseases. Certainly, a pause button would help. Instead of immediately making a choice, use the pause button and delay it to a later time, when you can deal with this choice more effectively. Talk it over with someone else, or imagine what your best pal, friend or coach would say about the choice. The benefits of self-control cannot be overstated. Every study shows that those who excel at delaying gratification are happier, more successful, have better relationships, and the list goes on. Stop reacting to your child’s behavior and become curious about what is causing the behavior. Build and maintain friendships. Use the pause to listen, really listen. Use it to filter your responses. Control your emotions and filter those catastrophic thoughts that create unnecessary drama, worry and anxiety. Push your initial judgments aside. Eliminate any pre-misconceptions. Open yourself up to new perspectives. Learn compassion and empathy for others and yourself! Grow self-awareness of what’s getting in your way of being who you want to be and doing what you want to do. If you’ve ever been around someone who has the ability to think before they react…gosh, it’s a beautiful thing. But, how do you learn to pause? A good starting place is identifying your impulsive risks. For example, is it in the form of communication, spending money, bingeing on things, driving? These can be considered “critical moments” of impulsivity. Getting these on the radar is very important. A second point is noticing when these critical moments occur. For example, does impulsivity come up in the context of being overly emotional or reacting to certain situations? Do alcohol or drugs contribute to impulsive choices? Breath! Practice the art of taking a breath BEFORE jumping into all the yelling and screaming. Come up with a signal or word with those close to you that tells you this would be a good time to pause. For example, have someone give you the time-out hand signal if you begin to interrupt or blurt during a conversation. Practice mindfulness meditation. This can be so hard for those with ADHD. It’s called practice for a reason. Paying attention to our own physical and emotional triggers and responses is critical in knowing when to hit the pause button.